Bruges, Belgium is a pretty cool city that seems like it was frozen in time, because it kind of was. The city has remained so similar to what it was hundreds of years ago largely because of the fact that its main economic driver, its river, started to fill-in. As such, people left and people didn’t have as much money to change the city with the times. This is what I find to be the most interesting thing about the city… that it’s economic destruction in the 1500’s is largely why it is such a beautiful city today. 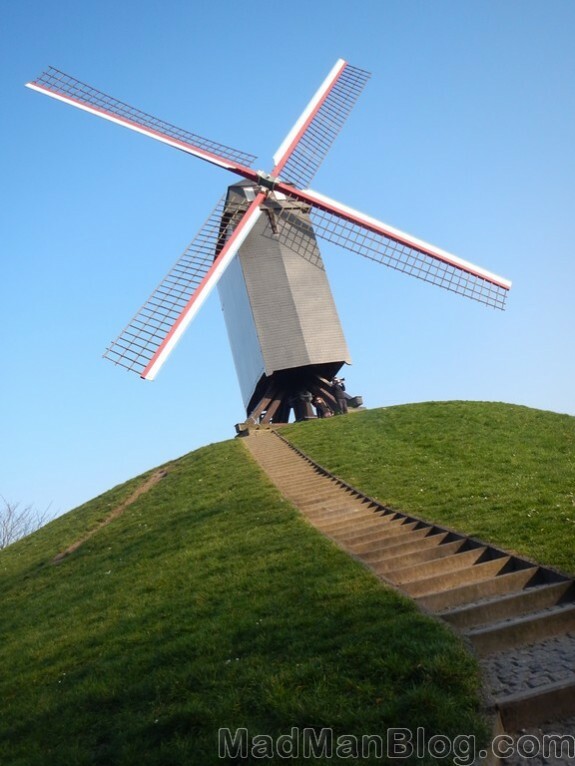 That was a bit of an aside, considering the photo above is of a windmill, but I hope you enjoyed the mini history lesson :). This windmill is one of 4 or 5 on the outskirts of the old city and it is really cool to see a real windmill in person, at least I think it is. Unfortunately, none of these windmills are operational but you can go inside of one for a fee.